This month our #CreativeCookieExchange members are playing with pumpkin! 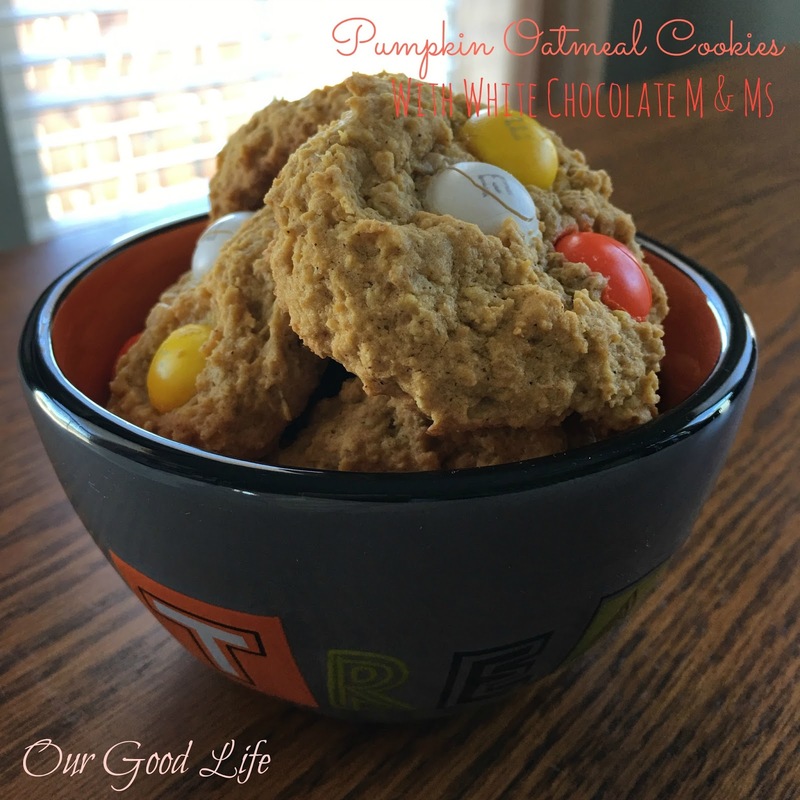 You are going to find all kinds of pumpkiny goodness in the form of cookies, just in time for your Halloween or Thanksgiving fun. This cookie recipe was inspired by one I saw on pinterest that used chocolate chips. I was in Walgreen's and saw the white chocolate M & Ms and was sold. Perfect for pumpkin! In a mixer bowl, beat together butter, sugars and pumpkin. Add vanilla and beat thoroughly. Add in spice, oats, flour, baking soda and salt. Beat until well mixed. By hand add in M & M candies. Drop 1 T sized cookies on cookies sheet. Bake at 350 on a greased cookie sheet for about 8 minutes. Bottoms should be light brown. Cookies will firm slightly as they cool.